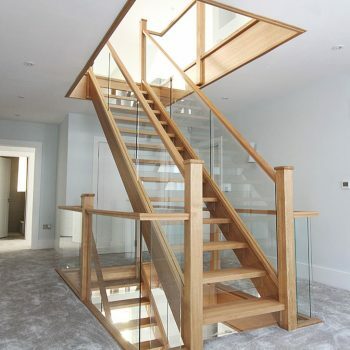 Since the length of the staircase passed by the wall at the foot of the staircase, we were given the opportunity to create a unique opening to the staircase with two feature opening treads. 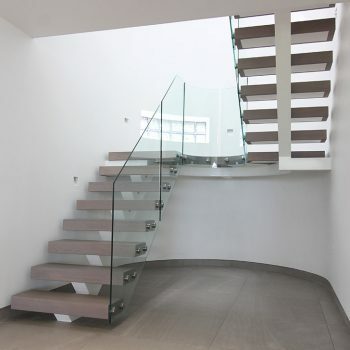 This allows the staircase to be approached from a variety of angles, opening the space more effectively. 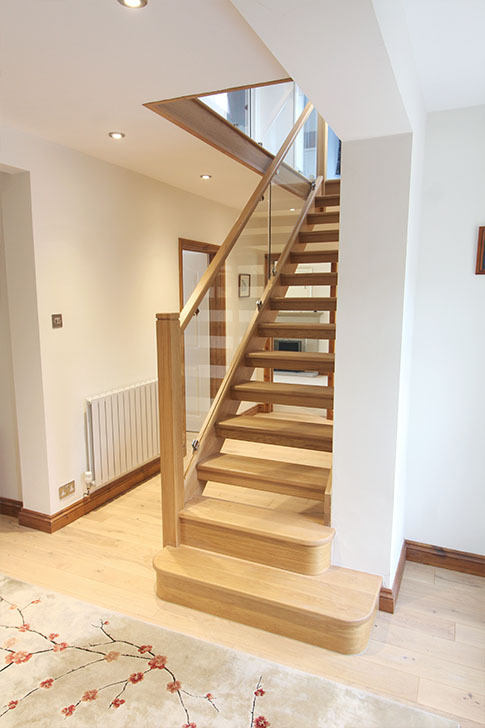 Replacement staircases allow this kind of transformation to take place with no compromises. 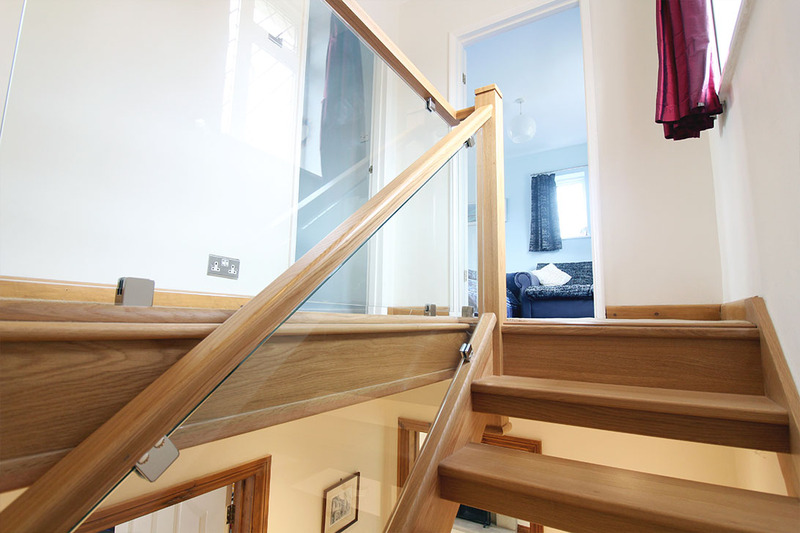 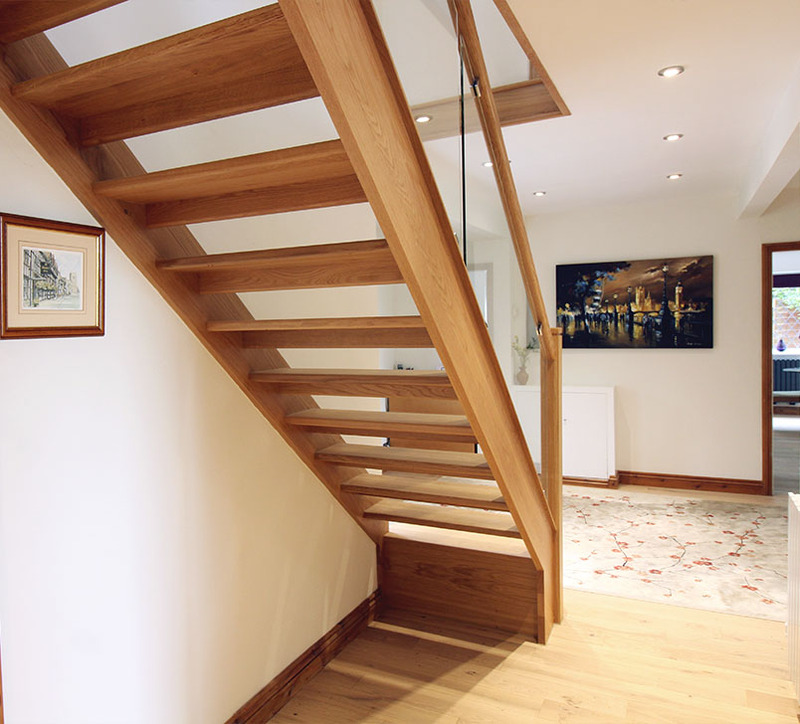 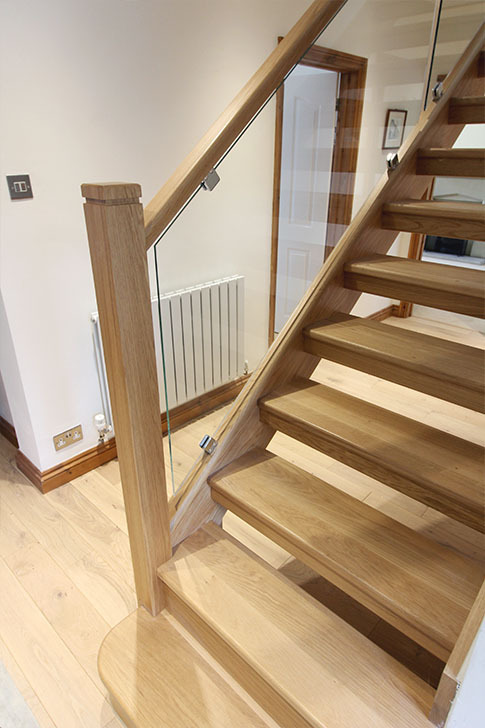 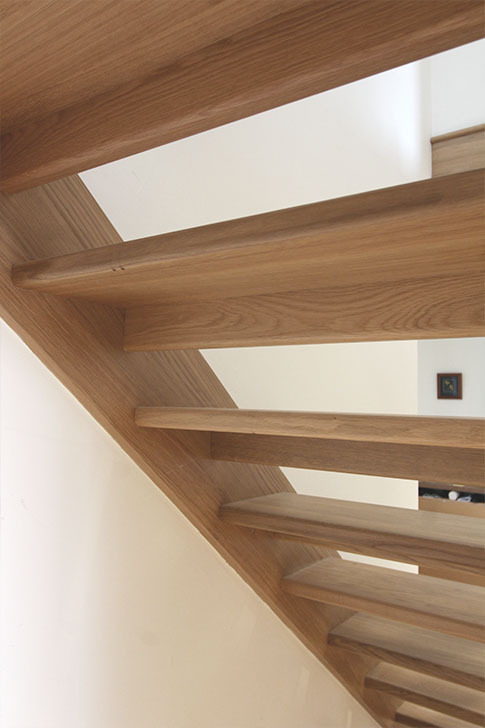 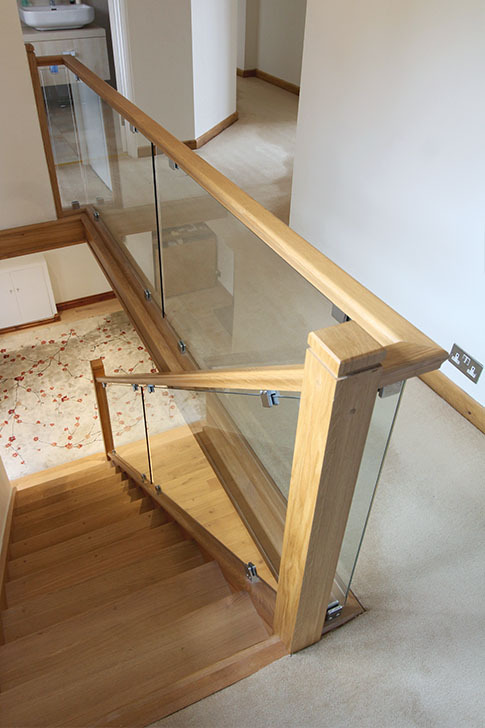 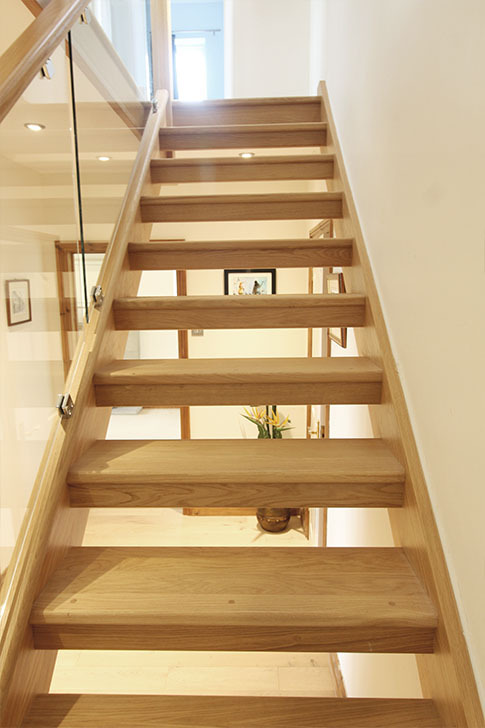 The open plan staircase is fully compliant with all building regulations ensuring no gaps above 100mm. 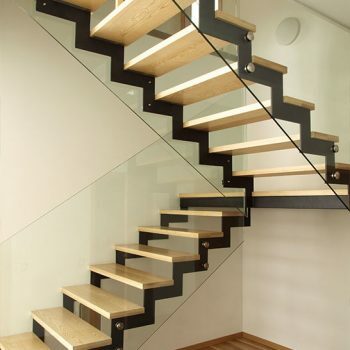 This is accomplished by using a small sub riser (the down stand under the tread), but this can be done in a variety of materials such as glass, steel bars or steel contrast finishes. 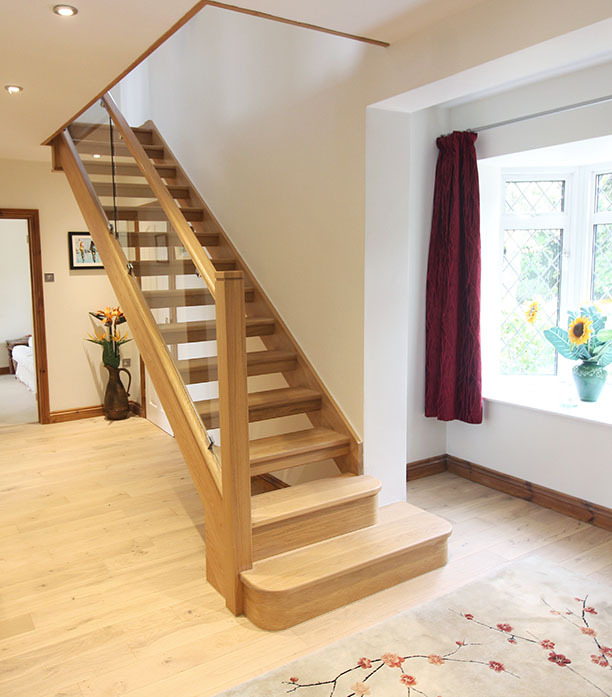 Replacement staircases offer freedom of design, whereas staircase renovations are somewhat restricted.